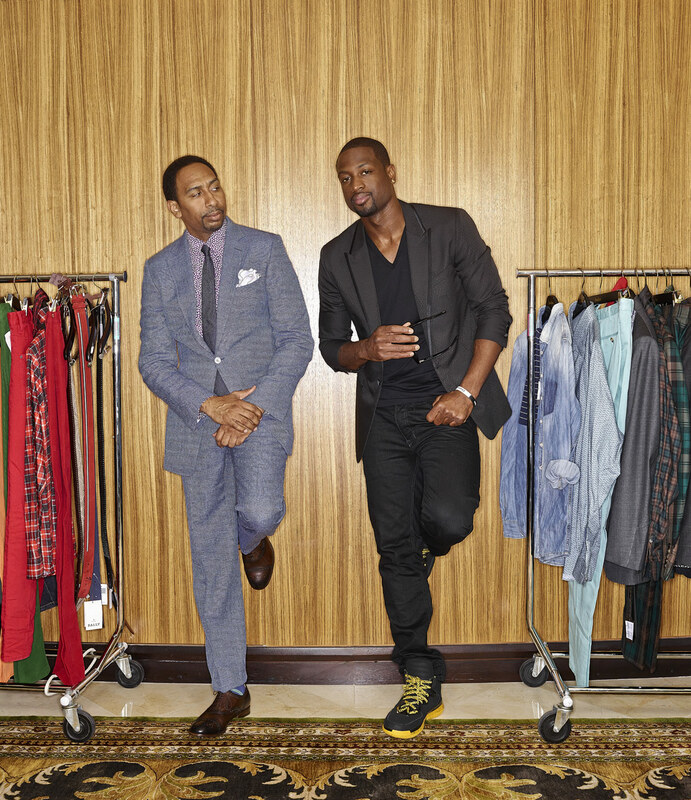 Dwyane Wade Miami Heat star basketball player Gives Stephen A. Smith a Fashion Makeover-FirstTake ESPN He was photographed by Miami based advertising and commercial photographer Jeffery Salter. Jeffrey is an award winning photographer who also does fitness and celebrity portraiture. He does location photography in Atlanta, Miami, Orlando, Tampa, NYC , Los Angeles and Dallas.